I know I have blogged about oak bark at the Wildlife Trust managed Pengelli woods before but it is such a great thing that I had to mention it again (you can read the old post here – http://thecoppiceplot.com/peeling-oak/). We have just handed over all our peeled oak bark to the experienced hands of Brian and Kay Murphy. 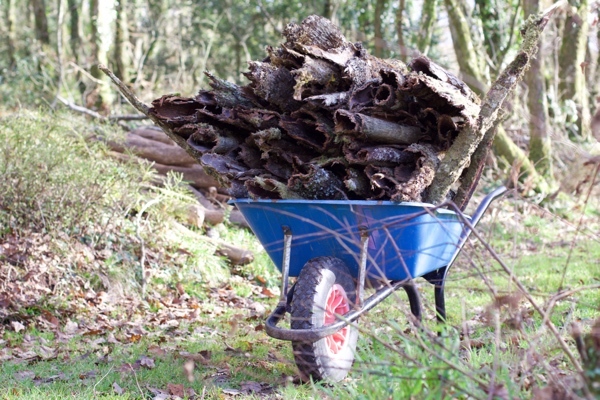 They have been collecting oak bark for the last 30 years and have collected from peelers such as Bill Hogarth. To hear their stories is a real privilege and makes me incredibly grateful to be a coppice worker. We are left with lots of lovely peeled oak poles which we sell onto local timber framers. If you would like any for your own projects then please get in touch. 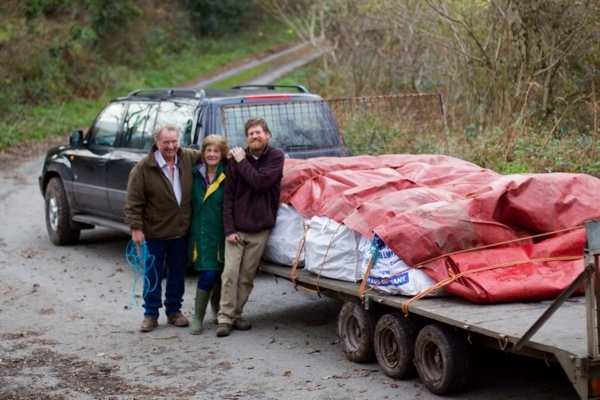 Brian, Kay and Nick standing with this years oak bark, all packed and loaded. Getting the oak bark out of the woods with good old fashioned man power, one barrow at a time! We carried out the felling in the early summer when the sap was up and the oak easy to peel. The sound of the oak bark coming away from the stem is a beautiful sound, you can hear it in the video below. 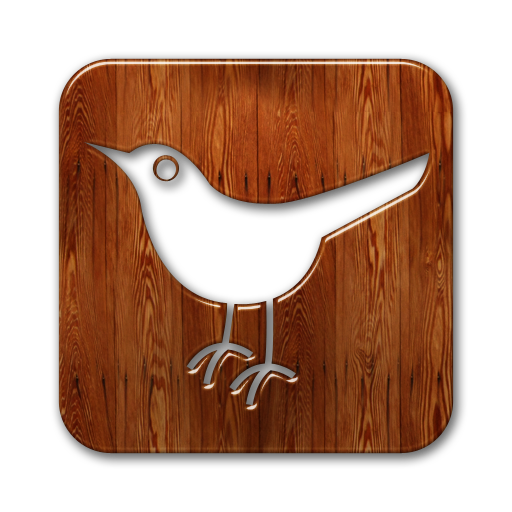 This entry was posted in Coppice on November 12, 2017 by admin.